I wasn't sure what to expect of this since there weren't any reviews, but my toddler fell in love with Stick Man after we stumbled upon the animated short on Amazon Prime so I had to get it for his birthday. The book itself is exactly like the hardcover edition with the addition of symbols throughout that indicate which sound button to press at that time. The three LR44 button cell batteries can be replaced by removing a small screw on the bottom front of the sound board. I recommend buying the sound book over the standard hardcover edition since you get more bang for your buck. 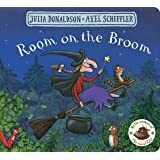 We're huge fans of Julia Donaldson - especially the Gruffalo series and Room on the Broom. I'd read that Stick Man was going to be turned into a movie this winter and decided to purchase the book prior so we could be familiar with the story. My almost 3 year old daughter received this book for Chanukah, just before Christmas. (Yes, we celebrate both.) She instantly loved it, and we read it every night until Christmas and a few times since. My husband just found the new Stick Man movie and says it's as good as the other Julia Donaldson movies. I can't wait to watch it with my daughter. We love Stick Man. Actually, we love all of Julia Donaldson's books. Be aware, the book we received was a small format "early reader" edition which measure about 6x8. In contrast, other Julia Donaldson books we have were in a larger, 9x11, format. 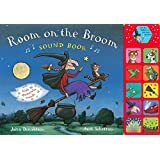 My wife informed me, early reader books are, by their nature, different from the larger format picture books we have for our 2.5 year old. The text is keyed into specific pictures to relate the content more distinctly. A picture book emphasizes large pictures over content\picture association. Fonts can be different too. Even the story can be changed somewhat, all with good intent. Some publishers also move to smaller formats to make it easier to turn pages and manage the book for 5 year old hands etc. In the end, I was a bit disappointed in the format, my wife says it is perfect for our son who loves to sit in his bed and pretend read. So, just know what you are getting. When I shopped for this book, there were not many options. Many sellers are based overseas in the UK or Australia, so check the return policy and know what you are getting. 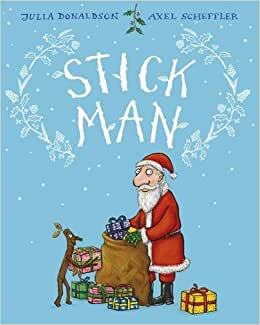 As for the Stick Man and Julia Donaldson's stories - five stars. 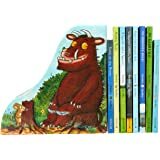 Julia Donaldson surpasses the average child book writers by a long shot. She creates magic with her stories and her style of writing. Our son can memorize the passages with no trouble, and it is fun to read with him as he finishes the sentences. My daughter fell in love with Stick Man when we stumbled across the animated version on PBS last Christmas. We bought her the book as a gift and she loves to look at the pictures and hear me read the story to her anytime she wants. We also purchased a plush Stick Man for her to cuddle with while we read. This book is so sweet and cute. My son read it while we lived in Sydney AUS and its just sweet and fun to read!